Nintendo has always been an innovative company. From the 1981 release of Donkey Kong in arcades The Origins & History Of Mario [Geek History Lessons] The Origins & History Of Mario [Geek History Lessons] An Italian plumber created by a Japanese artist somehow became one of the most recognizable characters on earth. Featured in over 100 games, it's hard to imagine Nintendo or even video games without this mustachioed... Read More , which arguably saved the gaming industry, to pioneering motion control 6 Crazy, Interesting Or Useful Ways To Use a WiiMote 6 Crazy, Interesting Or Useful Ways To Use a WiiMote When Nintendo released the WiiMote, it was arguably a console industry game changer. The concept of interacting with a game using your physical body was born. Lifelike motion controls enabled it to appeal to a... Read More with the Wii remote, to their recent 3DS handheld Nintendo 3DS XL Review and Giveaway Nintendo 3DS XL Review and Giveaway Among all the big names in gaming consoles, Nintendo is definitely among the top favorites. As a '90s kid, I associate much of my childhood with playing Nintendo games. I remember growing up with the... Read More that brought glasses-free 3D gaming for the first time, they’ve been one step ahead since they’ve been making video games. The above innovations were all successes, but some pieces of the gaming giant’s handiwork didn’t exactly work out. Even in their lesser-known accessories, though, Nintendo has been ahead of their time. Let’s take a look at some retro Nintendo products that ended up being forerunners to successful merchandise in the future. The Power Glove is probably one of the most well-known Nintendo Entertainment System (NES) accessories. The Glove had the usual NES controller buttons on it, but its main appeal was motion control. There were even two games specifically made to work with the Power Glove: Super Glove Ball, a pseudo-3D puzzle game where you navigate through mazes, and Bad Street Brawler, which was a beat ’em up. Neither one of these games was particularly good, and they were both playable with a standard controller, albeit without a few special Glove-only moves. 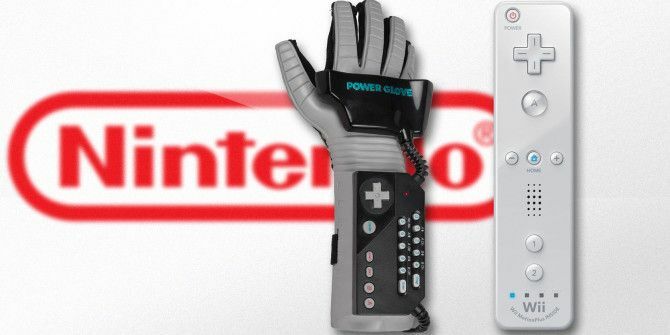 You could play any game you wanted with the Power Glove. Each game had a code that you had to input on the glove’s keypad before playing to sync it to the game. The Glove actually worked through sound – a three-sided contraption was placed around the TV, and each corner received an ultrasonic tone broadcasted from inside the Glove. Based on how long the sound took to reach the receiver, the position of the Glove could be tracked through a triangular calculation and therefore used to control a game. As you probably know, the Power Glove was difficult to use and was met with much criticism. It’s a bit of a popular culture icon now, but nobody at the time could have predicted that the Power Glove’s technology would inspire a runaway success some 17 years later. In 2006, Nintendo released the Nintendo Wii; even if you’ve never played a video game, you’ve surely heard of it. As of April 2014, the system has sold over 101 million units worldwide, which is surely what you’d call a smashing accomplishment. The Wii appealed to people of all ages and interests; with the awesome launch title 4 Video Game Console Launch Games That Were Actually Good 4 Video Game Console Launch Games That Were Actually Good Every once in a while, the stars line up and a launch game hits the market that's actually good. It's a rare occurrence indeed, and one that doesn't seem like it's going to happen on... Read More and pack-in game Wii Sports, anyone with a Wii was able to enjoy a new kind of gaming without a traditional controller. Nintendo started the trend with the Wii, and it was so successful that Microsoft and Sony developed motion controllers for their consoles. Sony had the PlayStation Move, while Microsoft debuted the Kinect, which allowed the player’s body to act as a controller. The Wii’s legacy is one of the most amazing feats of gaming in the past decade, and it’s amazing to look back and see its primitive form. Product Was Ahead Of Its Time By: 17 Years, from 1989 to the Wii’s release in 2006. The Virtual Boy is typically placed near the top of the list of Nintendo’s failures. When it debuted, it was marketed as being able to display real 3D graphics How To Play Your Games In 'Real' 3D (Windows) How To Play Your Games In 'Real' 3D (Windows) Read More with virtual reality technology. The console looks more like a child’s viewfinder than a video game system, however. It isn’t hard to find fault with it aside from its looks: first, the system could only display in red and black, so any “3D” content was severely hampered by the poor color scheme. Further, it was marketed as a portable system, even though you could barely use it in your own home, as it was uncomfortable and tough to find a position in which the system would stay put and be able to view the game. Even worse, the system worked by having each eye viewing a different section of the screen, which caused most users eye strain, nausea, and headaches. There were even built-in settings in some Virtual Boy games reminding users to take a break every so often to avoid feeling sick. 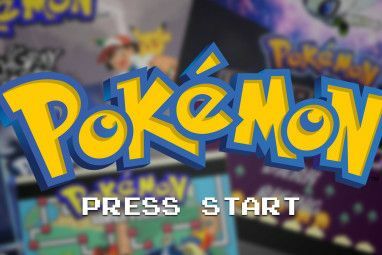 There were only 14 games released for the system in North America; most of them were sports, action, or puzzle games, which didn’t lend themselves well to immersion. The only game that was well-received on the system is Virtual Boy Wario Land, usually considered the best title on the system. If you’ve played other Wario Land titles, you’ll like this version – it has a neat mechanic where you can jump between the foreground and background, like in the recent indie game Mutant Mudds. Overall, the Virtual Boy promised virtual reality, but it turned out to be a big joke. Consumers’ interest with virtual reality never went away, however. Unlike the Power Glove and Wii, virtual reality (VR) technology is still in the works. The most widely known example of VR gaming is the Oculus Rift, a head-mounted piece of equipment that will allow gamers to finally experience virtual reality. A developer kit is available now, which we’ve reviewed Oculus Rift Development Kit Review and Giveaway Oculus Rift Development Kit Review and Giveaway The Oculus Rift has finally arrived, and is making heads turn (literally) all over the gaming community. No longer are we confined to to peering through a flat window into the gaming worlds we love... Read More , but for consumers expect to see the Rift for sale in late 2014 or early next year. Sony has also announced an Oculus competitor for its PS4 system Sony PlayStation 4 Review And Giveaway Sony PlayStation 4 Review And Giveaway Ladies and gentlemen, the next generation of video game consoles is here, with the Sony PlayStation 4! Read More , titled Project Morpheus. Not much information is known about it yet, but it’s exciting to be living in a time where virtual reality is becoming, well, a reality. Product Was Ahead Of Its Time By: 17 Years, from 1995 to the introduction of the Oculus in 2012. The Power Pad was first released in Japan as the Family Trainer, and briefly known in the US as Family Fun Fitness. However, its official release by Nintendo in 1988 as the Power Pad is what we’ll use as its official release date. The Power Pad was a mat laid out in front of the TV used to control certain NES games. Instead of using a regular controller, players could use their feet to get into the action – a great way to lose some weight while gaming 4 Video Games That Will Help You Lose Weight 4 Video Games That Will Help You Lose Weight All too often, people who are not gamers have this idea that individuals who choose to spend their time playing video games are lazy. Sure, we like to sit around with a controller in our... Read More . Eleven games were created specifically to be used with the pad, including World Class Track Meet, a re-released version of the earlier game Stadium Events. Most of these games involved sports, which makes sense, but a more interesting one is Street Cop. In this title, the player must control a police officer chasing criminals and uses the pad to perform actions like jumping and using the baton. The Power Pad was more successful than the Power Glove, and was a decent NES accessory. You can probably guess what it’s the predecessor to. Dance Dance Revolution (DDR) debuted in North America in 1999, and while it wasn’t the first musical game The Future Of Music Games In A Post-Plastic-Guitar World The Future Of Music Games In A Post-Plastic-Guitar World Like trends tend to do, our plastic instruments have fallen out of favor. This doesn't mean the intersection of music and games has been abandoned. These six new and upcoming titles. Read More , it certainly was the most popular, and it invaded arcades across the nation. You can play DDR with a controller, if you really want to for some reason, but the main draw of the game is playing with a dance mat and moving to the beat. There were over a dozen versions between arcades and home, with plenty of music to master. DDR’s popularity was largely due to the fact that you didn’t have to be good at video games to play it. On the contrary; even if you’re awesome at “traditional” video games, you might struggle with it. It requires some physical skills and rhythm, but if you keep at it you can definitely improve. It’s an awesome family and party game, it’s a great form of exercise, and it drew crowds in malls across America for some time. If you like the idea of DDR but you don’t think you’re a dancer, check out how you can play it on your computer Want Dance Dance Revolution On Your Computer? Try StepMania Want Dance Dance Revolution On Your Computer? Try StepMania Forget karaoke or game titles like "Just Dance" -- the best way to make fun of yourself and exercise has been playing "Dance Dance Revolution." Read More . Product Was Ahead Of Its Time By: 11 Years, from the 1988 official Power Pad release to DDR’s first North American release in 1999. The Family Computer, or Famicom, was the Japanese version of the NES. This futuristic accessory, the Famicom Modem, was never released outside of Japan, but it’s a neat idea that inspired capabilities of many other gaming consoles in the future. With the Modem, players could connect their systems to a server that dispensed cheats for popular titles 7 Most Useful Video Game Cheats Ever 7 Most Useful Video Game Cheats Ever At one time, single player games were shipped with hidden cheat codes that could be used to unlock an array of nifty powers and shortcuts. Remember those days? Read More , weather reports, and bits of downloadable content for games. It wasn’t much compared to the online capabilities of games today, but in the late 80s this was huge. The Super Mario Club, as seen above, had previews of upcoming games, like a very early version of Miiverse or an online Nintendo Power. What’s more, the Famicom Modem could be use to perform trades on the stock market and even online banking. It’s speculated that this was an attempt to bring Famicom systems into more homes, as adults could use them for their grown-up tasks and the children could enjoy the entertainment aspect. It was originally planned to have games that were accessible by using the Modem, but they never came to fruition. You don’t have to look far to see what the Famicom Modem has inspired. Companies attempted to bring Internet access to their systems for quite a while; as just one example, the Gamecube actually had adapters that could be used to play games online. However, only a paltry number of titles were supported. Fast-forward a bit and you’ll see what a smash hit online capabilities in gaming have become. With Nintendo’s Wii, you can download entire games from the Wii Shop Channel. The Wii U Nintendo Wii U Review and Giveaway Nintendo Wii U Review and Giveaway Despite the increasing shift to mobile gaming, consoles are still very popular devices for playing immersive, graphics-intensive games; and that won’t change anytime soon as long as the major console makers continue to improve with... Read More and 3DS connect to the Nintendo eShop, where you can get downloadable content for your favorite titles, demos of hit games, and all-new indie games from up-and-coming developers. Of course, online gaming reaches further than just Nintendo. Sony’s PlayStation and Microsoft’s Xbox systems are almost always found connected to the Internet. Playing games online with others from around the world can be achieved in seconds, and you don’t even need to buy game discs anymore, as AAA releases can be bought and downloaded on their release day. Truly, the Famicom Modem forecasted one of the biggest revolutions that gaming has ever seen. Product Was Ahead Of Its Time By: 14 years, from the Modem’s release in 1988 to Xbox Live, the first widely successful online gaming service, which debuted in 2002. This is just a sampling of the innovative products that Nintendo has produced. 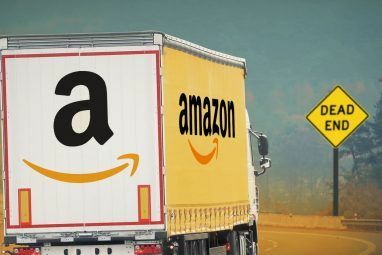 Who can imagine what today’s products will spur in the future? 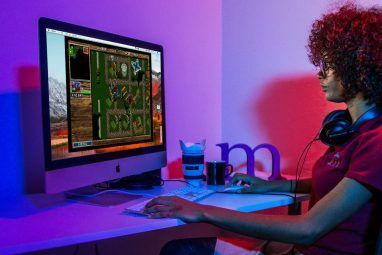 Gaming is an awesome field to be a part of; if you’re a seasoned gamer, check out Dave’s list of signs you may be a living piece of gaming history 7 Signs You're a Living Piece of Gaming History 7 Signs You're a Living Piece of Gaming History Read More . We’ve also covered some consoles that had great expectations but ultimately failed 5 Failed Video Game Consoles That Were Actually Great Ideas [MUO Gaming] 5 Failed Video Game Consoles That Were Actually Great Ideas [MUO Gaming] Over the history of video games, there have been more consoles than most people think. People think about the dominance of Sega and Nintendo in the prime of video games, and of course the Atari... Read More . Did you own any of these Nintendo products? What unique innovations did I miss? Do you have any predictions for what we’ll see in gaming’s future? Let us know in the comments! Did you guys just use Angry Video Game Nerd photos/stills from his videos and not credit him? I apologize. We've corrected this mistake.